Battlestations: Midway is the latest XBox 360 game from Atari that is set in the turbulent area of World II which is based in the Pacific Theatre of Operations. The game itself features your traditional arcade style flight/boat simulator with a twist, as gamers can also bark orders at their soldiers while on the field or take up the role of commander with an in-depth strategy mode. With over 60 different warships, planes and submarines to control, there's definitely a different way to defeat each enemy unit whether it's by ordering your troops to engage the enemy, employing new military strategies or by taking things into your own hand in an intense 3rd person action view, Battlestations: Midway is definitely two games in one. With both single-player and multi-player options, the main focus of gameplay is the single-player campaign mode that transforms players into Henry Walker, a Naval recruit whose life in the military soon turns upside when the Japanese attack Pearl Harbour. Fortunately for the US forces, Walker's abilities as a strategist prove extremely valuable in the fight for survival. While progressing through the game, your arcade and strategy skills are tested as you command your way through various historical battles such as the Battle of Midway that make you appreciate the amount of detail that the developers have included in this game. Revolutionary gameplay: Experience epic WWII combat from multiple perspectives as you jump between dozens of units, playing as a pilot, a gunner, a submarine captain or even a carrier fleet commander. Massive battlefields: Every battle takes place simultaneoulsy in the air, on and under the sea. Movement of your fleet and the individual efforts of any one vehicle is critical to success. Sixty warships. Each plane, ship and submarine is authentically designed. The more players know about each carrier's profile, capabilities and weaknesses the better they will fight. 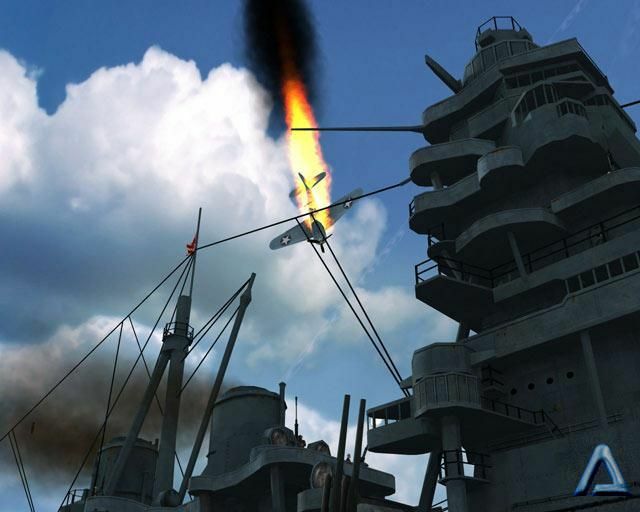 Featured in the game are the Wildcat and Zero Fighter planes, the Dauntless Divebombers, the B17 and B24 bombers, the USS Iowa, USS Yorktown, and Japan's infamous super battleship, The Yamato. Authenticity & Realism: Cutting-edge graphics bring the Pacific oceans and island chains alive with lush real-world environments, dynamic weather effects and incredibly detailed vehicles and weaponry. Deep single player mode: Features 11 massive campaigns with 12 bonus challenge missions and an immersive storyline. The story of Walker is rather interesting as you make your way through the ranks to eventually become the commander of the USS Yorktown. However with that said, the storyline is rather clichéd and features your classic overthetop acting and sometimes terrible voice acting that is all part of the magic of this game. The single-player campaign features 11 missions that should allow the average gamer around ten to fifteen hours to successfully complete. However, once the campaign mode is completed, the game then throws another 10 bonus challenge missions into the mix that lets you play both the Japanese and the United States. Care for something different? Why not try the intense multiplayer option for some fun against real opponents. Although all the battles in the game are based at sea, there's enough variety in the missions and the units at your disposal to provide a unique experience each time you play. You usually start out with a handful of units at your command and a few simple objectives, such as destroying all enemy carriers or defending your airfield. From there, it's entirely up to you how you go about completing your objectives. For the more larger missions, you will be using the tactical map that allows you to command all your ships, submarines and planes through movement and combat. The battles in Battlestations Midway are also quite entertaining (especially in a 3rd person perspective) and it really brings the glory of those old war movies onto the XBox 360 that mixes excitement, danger and a healthy dose of frustration. The developers have done an exceptional task at the artificial intelligence in the title that not only include the enemy but also your wingman. The beauty of the title is that once you feel like a change in gameplay, at any time, you can take control of any of your units and do the dirty work yourself. You can captain a sub as it stalks an enemy cruiser, take to the skies for an intense dogfight, man the antiaircraft guns on the deck of a battleship, manage the operations of an airfield or shipyard and more, all in a single battle. The units all have unique controls, weapons, abilities, and limitations that you'll need to learn so as to make the best use of all of your forces. This isn't a simulation game, though, so it doesn't take very long to get a feel for each unit under your control. The ships, subs, and planes don't handle realistically at all, but they are at least fairly well balanced against one another. You can feasibly take an all-action approach to battle and forget about being a commander, but without proper support, you'll have a hard time winning any battles. The multiplayer game plays just like the single-player game, but with all of the units being commanded by real, live players, the battles can vary wildly. There are nine multiplayer maps, many of which are taken directly from the single-player game. You can play with up to seven other players, each player commanding a specific ship, fleet, or squadron. The battles are all team-based, and you can choose to play as Japan or US forces. Each side has unique units, but they are still balanced. Graphically, Battlestations Midway looks amazing on the XBox 360 with realistic water effects and amazing lighting effects. The ships are detailed down to the tiny crewmen walking around on deck, and you can enjoy some nice views of the Pacific islands from the cockpit of a fighter plane. You'll occasionally see some rough spots like when objects suddenly pop into view as you approach, or flat land textures, but for the most part, Battlestations: Midway looks good and runs smoothly. But the game leans more toward real-time strategy than action, so you'll spend most of your time looking at the tactical map. 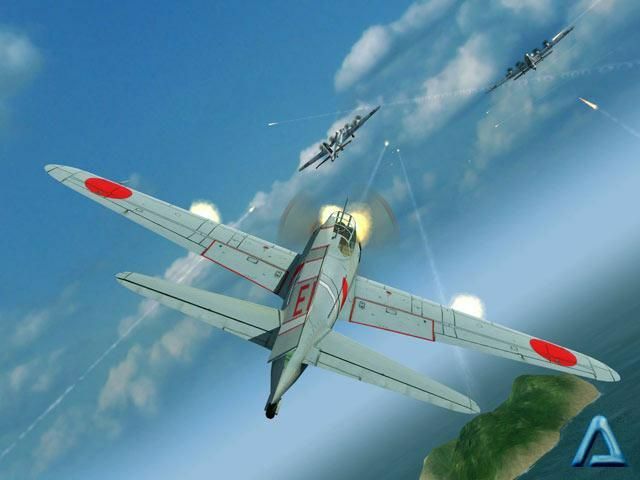 The musical score of Battlestations: Midway features your traditional war-based majestic soundtrack with a health dose of realistic sound effects. If you're playing as the forces of Japan, you'll hear your pilots and captains shout in Japanese, but even if you don't speak the language, it still helps clue you in about one of your ships being in trouble. The explosions and engine noises all sound powerful and distinct, and some of the more intense battles sound particularly impressive, with artillery, torpedoes, bombs, and machine guns all going off at once. 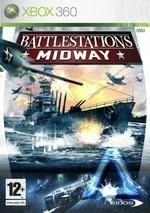 In conclusion, Battlestations: Midway is an entertaining walk down memory lane and is perfect for those flight simulator enthusiasts, great graphics and gameplay come together in this professionally made title. Go get it!